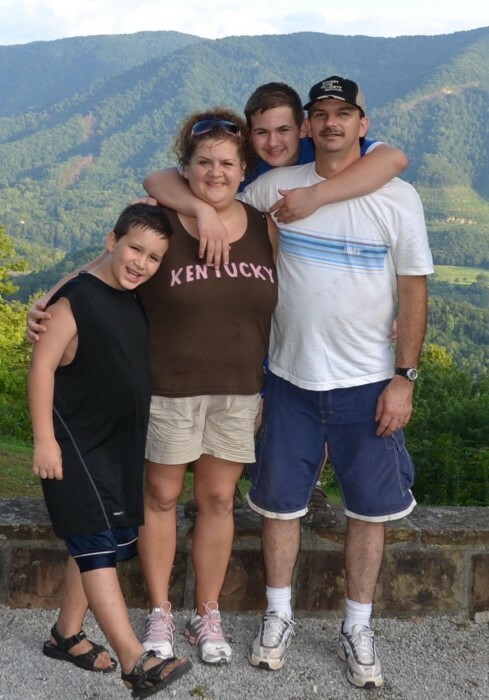 Geraldine Adams, age 43 wife of Jerome Adams of Wooton, Kentucky passed away Friday at the Hazard A.R.H Medical Center. She was born June 01, 1975 in Leslie County, Kentucky. Geraldine was a homemaker and enjoyed spending time with her family. She was preceded in death by her parents, Jess and Alta Jones Feltner, sister Della Feltner and brother Jerry Lee Feltner. Geraldine is survived by her loving & devoted husband, Jerome Adams and two sons, Taylor and Spencer Adams of Wooton, Kentucky. Also, sisters, Judy and Tim Hensley , Kay and Bill Lewis both of Wooton, Kentucky, Karla Fouts and David Johnson of Hyden, Kentucky, Betty and James Bailey, Becky and Tristan Hacker both of Stinnett, Kentucky. Brothers Jess, Jr. and Mary Feltner of West Virginia, Clarence and Peggy Feltner of Pennslvania , Jeffery Feltner of Jackson, Kentucky, Michale and Kim Hall,Jason and Beulah Wooton and Eugene Wooton all of Wooton, Kentucky. A very special friend whom she loved like a mother, Erma Day. Along with a host of nieces and nephews, relatives and friends to mourn her passing. Funeral services will be conducted Tuesday at the Full Gospel Church of Jesus Christ - Smilax, KY at 1:00 p.m. with Rev. Billy Joe Lewis officiating. Burial will follow in the Hensley Cemetery at Wooton, Kentucky. The family will receive friends at the church on Monday 6:00-9:00 p.m. The family has entrusted Wolfe and Sons Funeral Home to be in charge of the services.